The Create in Clay class is at the core of Kite Studios and perfectly encapsulates our belief that creativity is sustained and moulded greatly through the sense of touch and the confidence that comes along with it. 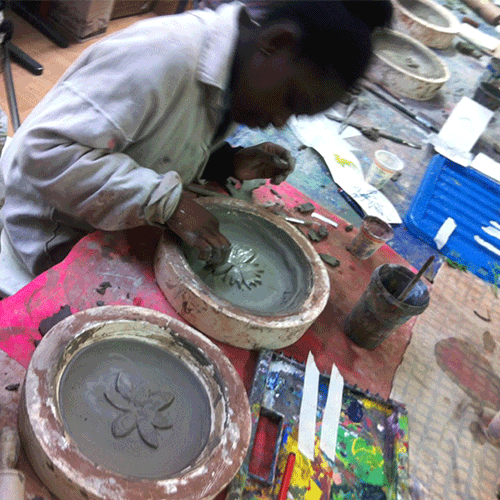 The Create in Clay class has been designed to teach and explore all things clay. From the very nature of clay to the way that it is sculpted and the different techniques that can be used to do so, to forming clay at the wheel and even giving the students a chance to put their very own work into the kiln to be fired.